St. Paul, MN. (December 29, 2016) – The National Indian Council on Aging, Inc. (NICOA) announced today that it was awarded a grant of $763,620 from Senior Service America, Inc. Almost 90 percent of this grant -originally from the U.S. Department of Labor – will provide temporary employment to at least 225 low-income older adults living in Dakota, Dodge, Fillmore, Freeborn, Goodhue, Houston, Le Sueur, Mower, Olmstead, Ramsey, Rice, Sibley, Steele, Wabasha, Waseca, and Winona Counties. These older adults will participate in the Senior Community Service Employment Program (SCSEP) a major program of the Older Americans Act. 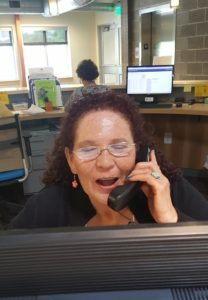 SCSEP is the only federal government program mandated to assist unemployed older adults seeking to rejoin the workforce by working in their community. “SCSEP delivers beneficial results for elders as well as whole community,” said Randella Bluehouse, NICOA Executive Director. First, SCSEP participants are helping about 100 local community, faith-based, and public agencies carry out their mission, including Lutheran Social Services, Community Action, Catholic Charities, Neighborhood House, St. Paul Public Housing Agency, Ramsey County Care Center, Riverland Community College, and many more. Second, older workers are receiving on-the-job training to enhance their skills. And third, older workers are keeping healthy by remaining connected and not isolated in their community. “NICOA is excited about the opportunity to partner with SSAI in providing SCSEP services to more individuals in Minnesota.” said Susan Chapman, NICOA SCSEP Director. About National Indian Council on Aging, Inc.
National Indian Council on Aging, Inc. (NICOA) is a national nonprofit aging advocacy and service organization based in Albuquerque, NM. 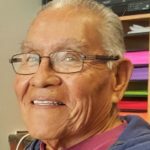 NICOA’s mission is to advocate for improved comprehensive health, social services, and economic wellbeing of American Indian and Alaska Native elders 55 and older. NICOA has successfully served as a SCSEP grantee since 1989 through the federal set-aside funding, authorized to provide services to American Indian elders across the country. NICOA provides SCSEP to all eligible individuals in the areas we serve. NICOA is proficient in serving multiple states (AZ, CA, ND, MN, NM, OK, SD, and WI) in rural and urban underserved areas across the country. For more information, please visit our website at www.NICOA.org or Twitter@NICOA_Aging.